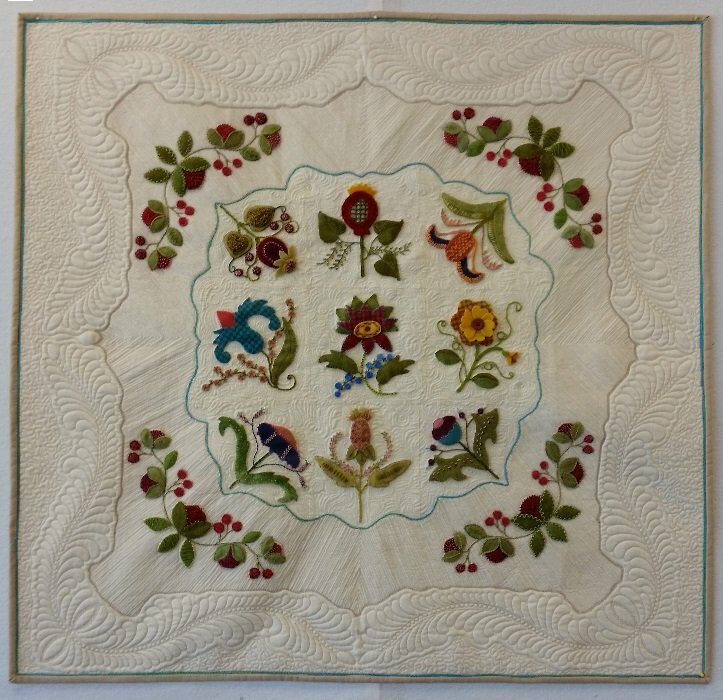 Many of you have seen this quilt at the shop and commented on it. Terry won the Ohio Arts Council award for Fabric perspective with this submission to the Ohio State Fair fine arts exhibit last year and is now offering it as a class! It's available with the cream colored background you see here. The project is wool applique on cotton and you'll be learning 29 different embroidery stitches and beading techniques. Class size is limited, so don't hesitate to sign up!